As a Leo, I will be the first to admit that chasing the dream of perfect hair is anything but effortless. My methodically-outlined ritual usually includes shampoo, conditioner, and a product or two to style and set the look — all formulated specifically for my hair type, of course. But a few years ago, I expanded my grooming horizons by introducing a purifying scalp scrub into a weekly lineup. My mane has been looking fuller, shinier, and healthier ever since. The moral of the story: the power of gentle exfoliation is not limited to your face. According to Christophe Robin, a celebrity hairstylist and colorist, the scalp has different needs than our face and body, making exfoliation all the more important. “It is rich in blood vessels, hair follicles and more sebaceous glands than any other part of our body,” he explains. It’s also often neglected, with many people focusing specifically on their hair as opposed to their scalp. Think about it: many of us use leave-in treatments or styling aids, which can cause product build-up. That suffocates the scalp. Robin explains that dry shampoos and any formulas that contain silicones can be especially harsh on your head. “If you use these products, it’s better to wash them out and let your scalp breathe as it absorbs everything at night,” notes Robin. By regularly using a scalp scrub, you can help combat that layer of build-up. Exfoliating also works to eliminate other issues such as excess sebum, dandruff, and flakiness. If you’ve been relying on daily shampoos to address all those concerns, reconsider. Shampooing every day can help activate those sebum-producing glands, leading to excessive oiliness. 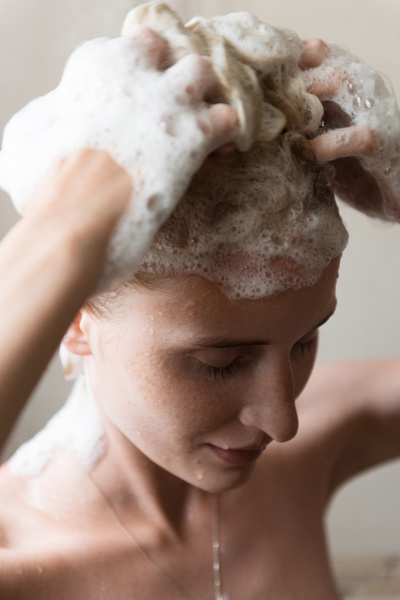 “This is why the scrub plays an important role in keeping your scalp healthy,” Robin explains. “By using it once (or twice if you have a very oily scalp) a week, you manage to space out your shampoos — it balances your scalp and allows it to stay clean for longer.” A clean scalp will make your hair appear weightless, giving it bouncier texture and volume. Those who wash infrequently —whether due to their hair texture or in the name of extending blowouts — also can benefit from a scalp scrub. According to Dr. Heather Rogers, Seattle based dermatologist and founder of RESTORE, “people who wash too little can have a buildup of oil and dead skin, which causes yeast to overgrow.” Yeast growth can result in a fungal infection, so regular detoxification of the scalp is key. However, not everyone should immediately incorporate one of these treatments into their routine, so consider consulting your dermatologist, hairstylist, or a trichologist if you’re unsure. Dr. Dominic Burg, trichologist and hair biologist for Évolis Professional, notes that psoriasis sufferers in particular should sit this one out. “People with psoriasis should stay away from exfoliators or tea tree oil, as they can cause irritation and, in some cases, aggravate the condition,” he notes. The same goes for those with non-medical conditions that require extra caution when it comes to their strands, such as extensions or heavily bleached hair. Remember, the skin on your scalp may be thick, but it isn’t any less sensitive than the rest of your body. To avoid potential irritation, make scalp exfoliation a weekly ritual like I have! I’ve rounded up a handful of my favorite scrubs that help push that much-needed reset button once a week. The shampoo-scalp treatment hybrid in this generously-sized jar makes exfoliating a seamless addition to anyone’s hair care routine. Briogeo™ Scalp Revival ($42) is a creamy, non-foaming formula with a slightly gritty texture and a zingy candy cane aroma. (That same peppermint delivers an invigorating, cooling sensation that I love!) It’s infused with nourishing coconut oil and binchotan charcoal to draw out impurities around the follicle and to help promote healthy hair growth. Nothing rescues my troubled scalp better than this thick, almost chunky paste. An in-shower moment with the Cleansing Purifying Scrub with Sea Salt ($53) is mandatory after traveling or a long weekend of dry shampoo touch-ups. It deep cleans without stripping away the scalp’s natural oils, but I recommend you still use conditioner immediately after rinsing. “By using it every week or every other week, you manage to space out your shampoos,” says Robin. “It balances your scalp and allows it to stay clean longer.” Conveniently enough, this French cult classic is also available in a ready to-go size that’s perfect for your gym bag. You might associate Gwyneth Paltrow with sleeker strands, but her latest beauty launch is all about serious volume. 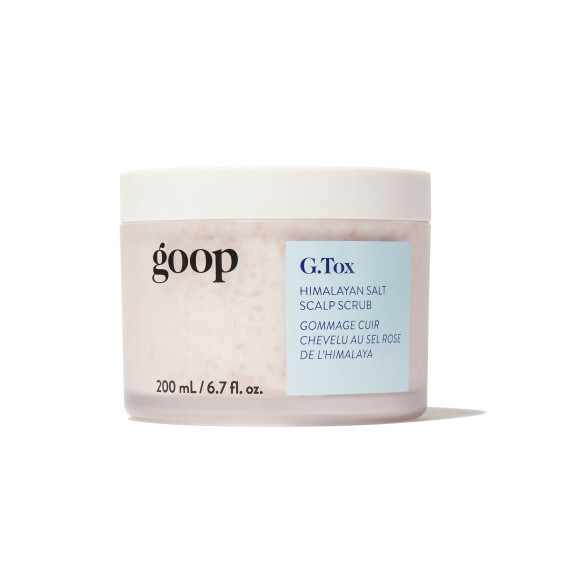 The Goop G.Tox Himalayan Salt Scalp Scrub ($42) has a mousse-like consistency and is studded with fine-grains of exotic pink salt crystals. Not only will this gem revive your hair and scalp, the moringa and rosehip seed oil prevent over-drying. The subtle herbal aroma lingers just enough to remind you this goopy treat is worth the splurge. Shea Moisture Green Coconut & Activated Charcoal Purifying & Hydrating Exfoliating Hair Mud ($11) is designed to address and correct one frustrating conundrum in particular: oily roots and dry ends. The activated charcoal in the formula helps draw out impurities, while green coconut replenishes the hydration levels in the scalp and hair. The grainy blend of salt and sugar invigorates the skin on your head and loosens product buildup, which results in bouncier, healthier looking hair. 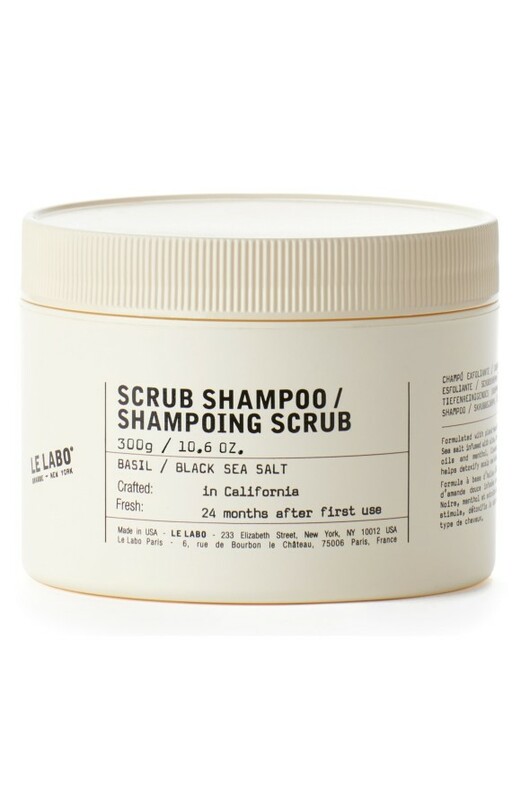 With its striking packaging, this luxurious treatment is sure to catch your eye, but Le Labo Scrub Shampoo ($35) also features an impressive list of ingredients. It gently exfoliates using black sea salt and conditions the skin and hair with olive and avocado oils. When you step out of the shower, you’ll notice (and enjoy) a refreshing, perky tingle. The zesty aroma of basil and verbena really should be bottled in a perfume — it’s so decadent.